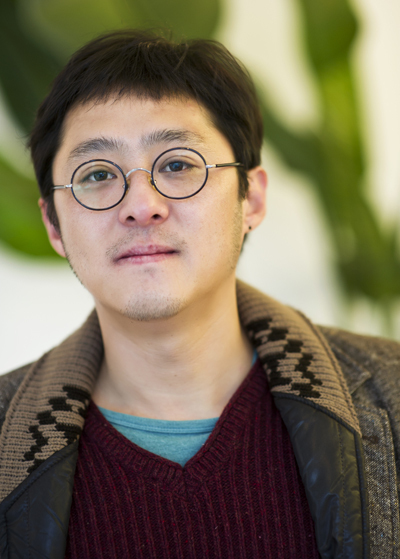 Ahead of its international premiere in the Berlinale Forum, director KIM Joong-hyeon talks about his debut feature film <Choked> with KIM Seong-hoon. A low-budget film made at the Korean Academy of Film Arts (KAFA),KIM Joong-hyeon’s<Choked> deals with economic troubles and the dissolution of the family in contemporary Korean society. The film made its world premiere in the Busan International Film Festival’s New Currents competition and is due for an international premiere in the Berlinale Forum section. Part of KAFA’s 4th feature film production research course, <Choked> follows three characters. A mother (KIL Hae-yeon) who runs away and disappears when she finds she has no way to pay back her creditors, her son Yoon-ho (EOM Tae-goo) who is left alone because of her irresponsibility, and Seo-hee, (PARK Se-jin) who comes to him to get back money she had lent his mother. “It’s a story I thought of when I was graduating from Seoul Institute of the Arts. It was a stifling time for me personally. I was troubling over what sort of story I should tell when I remembered the fear I felt when I was a child. It had to do with ‘what would I do if mom suddenly disappeared?’ Then, when I was working on the feature production course, the single line set-up of ‘a mother runs away from home and the son is left alone’ reoccurred to me,” explains Kim. His credits include working on director KIM Tae-yong’s<Family Ties>. Made with a budget of KW50 million (US$44,200),<Choked> is his debut feature film. The KAFA cycle before Kim’s produced director YOON Sung-hyun’s <Bleak Night> which was a festival favorite last year, no doubt putting some weight onto the next cycle’s shoulders. “The script of <Choked> was underway when <Bleak Night> [started getting] favorable reviews. There was a bit of pressure thanks to that,” he confirms. Instead of a driving plot with large events, <Choked> moves forward bit by bitwith the circumstances and emotions that occur between the film’s characters. Interestingly, this affects a certain narrative power. “Of course I know how important events are. Without events, the story can’t develop, but if they are revealed too much, there is the disadvantage of overshadowing the characters. When I was at Seoul Institute of the Arts, a professor I had said, “The characters’ circumstances are central to moving along the story.” That gave me a lot of inspiration. Circumstances are repeated after circumstances, and characters are inevitably pulled along by situations. And events are gradually diluted,” says Kim. “That’s also why I like films by Yasujiro OZU and Edward YANG,” he adds. CJ E&M, which has a partnership with KAFA, is handling international sales on the film.